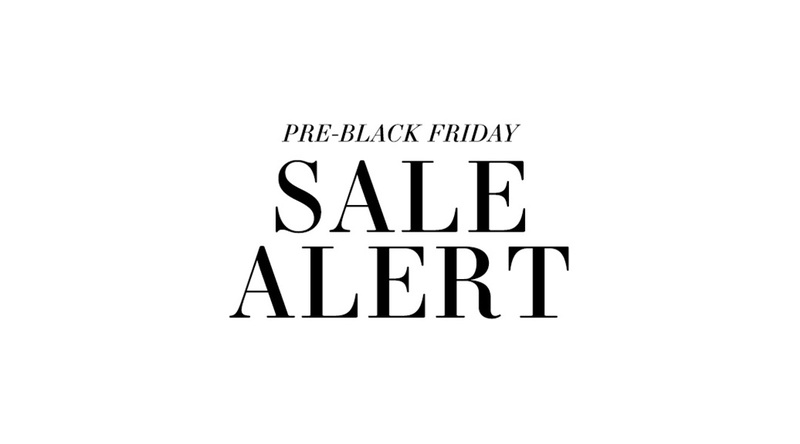 Later this week I’ll be rounding up the best of the best when it comes to Black Friday and Cyber Monday, but I couldn’t wait to share TWO HUGE SALES that started yesterday and today! – this ruffled red dress will have you holiday party ready in a flash. – a pair of high-rise skinnies in the perfect dark wash for fall/winter wear. – an adorable printed bikini for any beach trips you have planned to escape the cold! – the ideal handbag option for NYE or any party. Obsessed! – a luxe Co cashmere sweater to elevate your outfits this season. Love the sleeves! – the shoe section is NOT to be missed. There are too many good pairs to share, but my favorites are these Sam Edelman chunky-heel boots (now under $100 – so chic and also available in light grey! ), this pair of Nicholas Kirkwood metallic cocktail flats, and these gold + white Adidas sneakers (now under $50!). – these incredibly sparkly party heels. So fun! – this petal pink coat for pairing with winter white this season. Feminine and a bit unexpected, don’t you think? – this cream sweater with billowing sleeves. You really can’t have too many statement staples can you? – love this pointy-toe pair of over-the-knee boots. A fresh update on a classic! – this velvet clutch is already under $100 and would be the perfect holiday party accessory. It’s also a great gift idea! – my gold statement earrings (originally $100) are on sale! Don’t miss out – I bet they’ll sell fast. Stay tuned for the rest of my sale roundups later this week! Click through to the post to shop TWO HUGE SALES!